Oh yeah, this is one of those prog records. Really, that sentence gives you a picturesque idea of what Need’s “Hegaiamas: A Song for Freedom” sounds like. Make up a word for freedom, write a concept album about it, include a too-serious sample or two and close with a 20-minute song that’s overlong by half. This is all par for the prog metal course. Check and mate. While that probably sounds fairly damning, the Greek quintet’s fourth record is actually far better than initial appearances may suggest. That makes it all the more frustrating because although Need’s members are undoubtedly better songwriters than the sea of mediocre prog metal artists out there, “Hegaiamas” is as infuriatingly conventional as it is enjoyable and consistent. Still, though they may lack innovation, Need adhere to genre standards well and “Hegaiamas” is an undeniably likable but wholly unimpactful record. There’s nothing egregiously wrong here: The riffs go from crunchy to melodic as expected and are just complex enough to fulfill any demands for technicality. Vocals are likewise solid throughout; No awful James LaBrie-esque yowling here. The singing gives a strong Symphony X vibe, but without the raspy bite that makes Russell Allen truly great. Comparisons to major acts like Dream Theater and Symphony X might seem like a cop out, but Need is so mired in convention that it’s impossible not to compare them to the better artists they’re blatantly emulating. That’s not to say “Hegaiamas” doesn’t have its few moments of excellence. Opener “Rememory” has a legitimately beautiful intro, soaring vocals and a fantastic pace. It segues wonderfully into the melodic “Alltribe,” which serves as an apt contrast to the hard rocking riffs on “Riverthane.” Those are the standouts: Each track has its uniquely remarkable strengths and synergize with the overall record while also standing on their own. 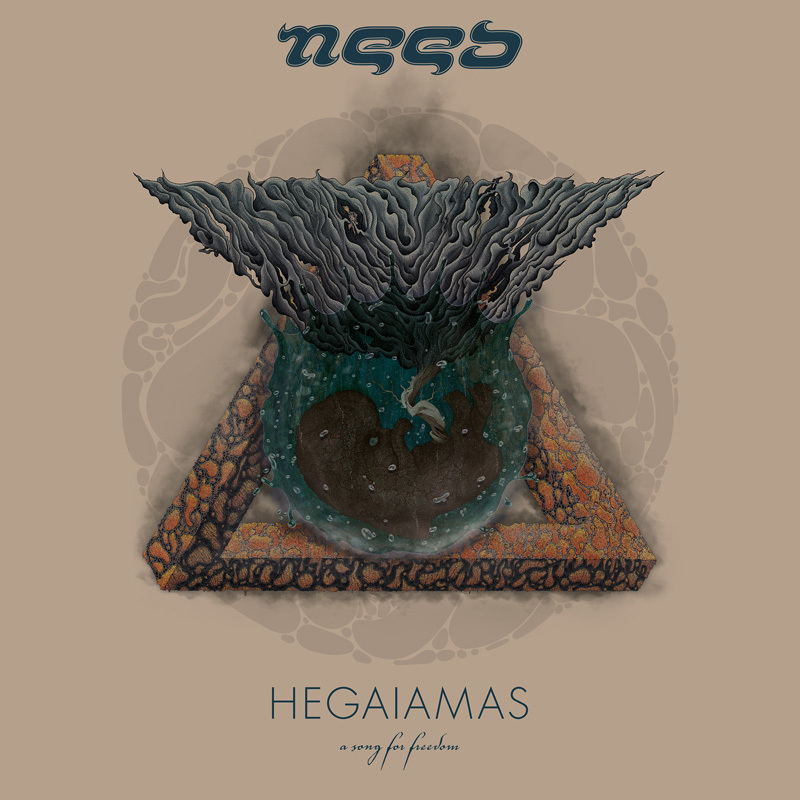 “Hegaiamas” isn’t a particularly heavy record but harsh vocals make infrequent but much-welcomed appearances on other tracks such as “Therianthrope” and “Tilikum.” Their execution won’t turn many heads but are suitably gruff and help diversify the record when monotony would otherwise begin setting in. However, the rare growl can’t stave off the tedium forever. Though this is a concept album, “Hegaiamas” is best listened to piece by piece. There’s neither enough creativity or raw quality to hold the listener’s attention for the hour-long runtime. Laughably cheesy interlude “?.?.?. ?.” aside, none of “Hegaiamas’” material is genuinely bad, but it’s impossible to get over the fact that this has all been done before and much better by a myriad of other prog bands. At its worst, “Hegaiamas” is an inoffensively good prog metal record and at the end of the day that’s certainly not the worst takeaway. Give it a whirl and you’ll likely enjoy the ride. However, unless you’re a diehard fan of the genre, you’ll be hard-pressed to remember it.